Yesterday, phone manufacturer Xiaomi announced that it had started a photo contest called the Xiaomi Photographic Challenge with a total prize pool of $50,000 USD. Photographs can be submitted up until November 23rd. The catch here is that all of the photos submitted for consideration in the contest must have been snapped using a Xiaomi phone. And the winner will be selected by "Global" fans of the brand. Entrants need to submit an unedited photo into one of four categories: Natural look, Piece of the world, Dreamscape and Why so serious. These pictures must contain EXIF information and range in size between 300KB and 10MB. Each entrant may submit up to six photographs each; to move on from the first round, a photo must receive three or more "likes." Entries that move on this round are viewed by professional judges who will eliminate photos until 100 are remaining (25 in each category). From November 27th to December 6th, the 100 pictures will be voted on by "Global Xiaomi fans." The first prize winner in each category wins $10,000 USD, while the second prize winner in each of the four categories will be awarded $2,000 USD each. 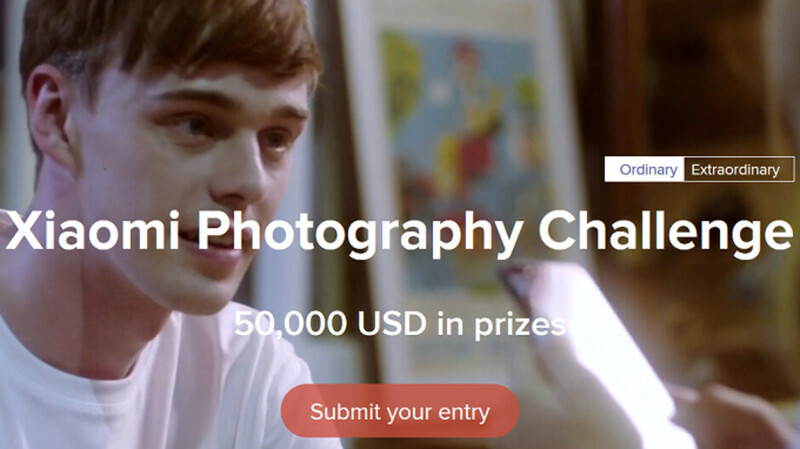 The four third prize winners will receive $500 USD each. All winners will have to send a copy of their passport in order to claim their prizes. While the contest is free, entrants must open an Xiaomi account to participate. If you are brave enough to click a pic from it.